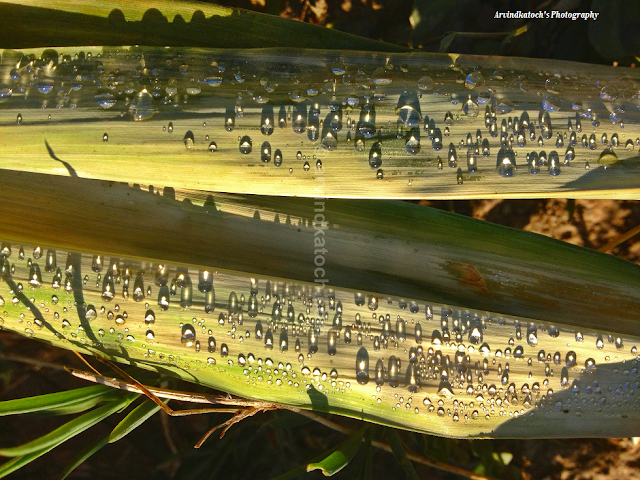 Here is pic of beautiful Morning Dew Drops spread on leaves. These dew drops look like shinning pearls in Morning Sun light. This pic was taken with iphone 4s and near my native village at Baijnath.